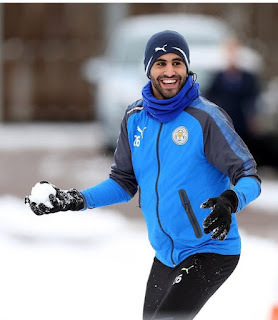 Leicester are set to fine Riyad Mahrez £200,000 after the winger failed to turn up to training in the wake of his failed deadline day move to Manchester City, The Sun reported. The Algerian submitted a transfer request on Wednesday after Pep Guardiola launched a £65million bid for his signature. However, Leicester had no plans to cash in and ended up demanding closer to £100m. City pulled the plug on the deal, with Guardiola admitting he’d rather wait until the summer and land Mahrez for a cheaper fee. But that hasn’t stopped the player from claiming he’s been left “very depressed” by Leicester’s decision.